It's hard to believe next week is Thanksgiving. I have been busy knitting a few items to give my husband's grandmother for Christmas, and I finally finished them today. 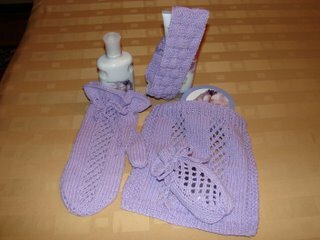 It's a 4-piece bath set, with a soap sack, headband, bath cloth and bath mitt, done in lavendar "Sugar & Cream" 100% cotton yarn. I'm giving it to her with a gift set of some lavendar scented soaps/lotions from Bath & Bodyworks. I think she will love it! 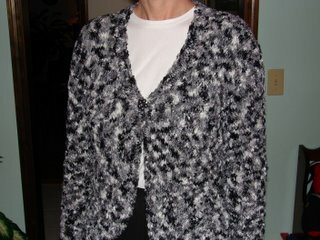 Next on the finished item list is a jacket-type sweater done in Trensetter Boing yarn. 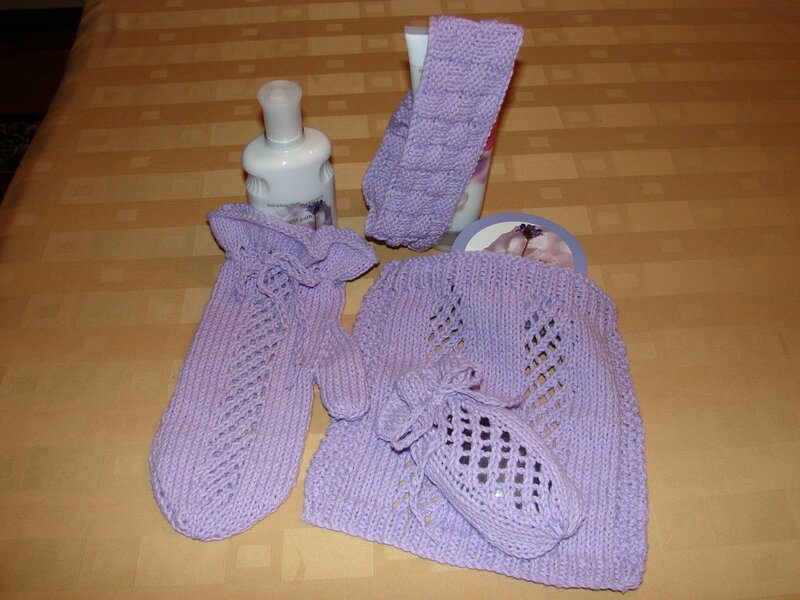 This was a very quick knit, no buttonholes to do, and the knitting was done on size 10 1/2 needles, so it was done quickly. I really love it, I actually wore it to work one day last week. I had a small pin to bring the fronts together that matched it really well. I'm not sure you can see it in the photo, but it was really "just right". Right now I'm working on a Trendsetter "Dune" jacket for the holidays. 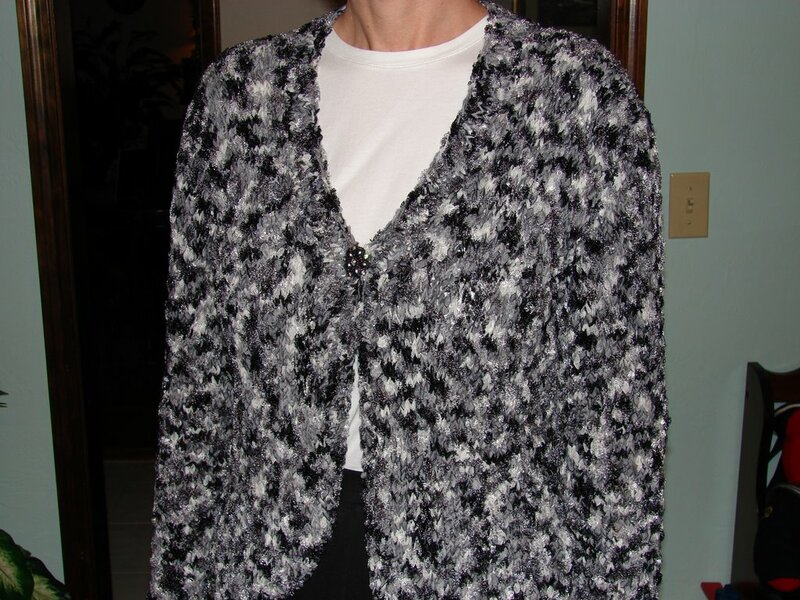 I'm going out of town for the next 5 days and hope to have some knitting time and maybe be close to finishing it when Thanksgiving is over--a great jacket to wear to the Christmas symphony concert we have tickets for! Happy Knitting to you & yours.